This time designers from the GlammFire studio have drawn the inspiration from the nature. 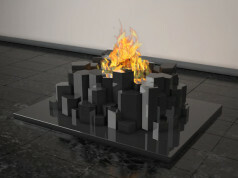 Perola is the bio fireplace, that is pure expression of balance and elegance. 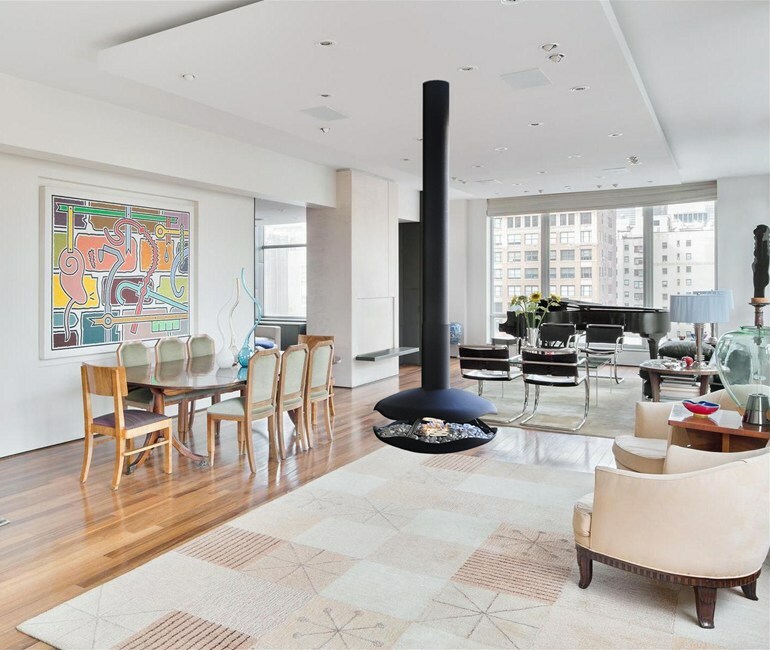 It could be afforded not only by the connoisseurs and fans of exclusive interior accessories. 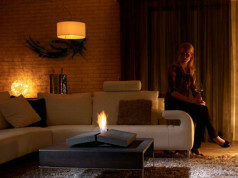 Perola is the bioethanol fireplace, that will perfectly match to the different interiors. Its deep and marine inspiration is creatively expressed by characteristic constructional features: quality of materials, harmony of line and elastic adjustment. 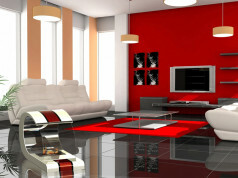 Perola shows an outstanding artisty of GlammFire’s architects. 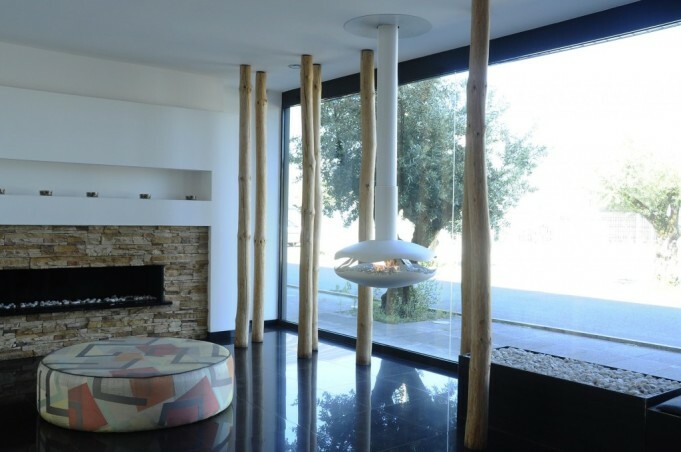 The designers have done their best to make the innovative conception of hanging bio fireplace – save in use, but also with taste and a little bit of luxury. 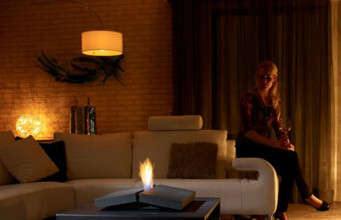 Bioethanol fireplace looks beautiful hung up near the window, alone or with some decorations. It will definitely attract everyone’s attraction. The fuel burner is put deeply. 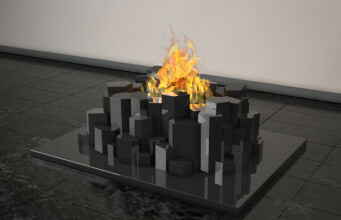 Visible, gently flickering fire wraps up aesthetically the whole device inside. 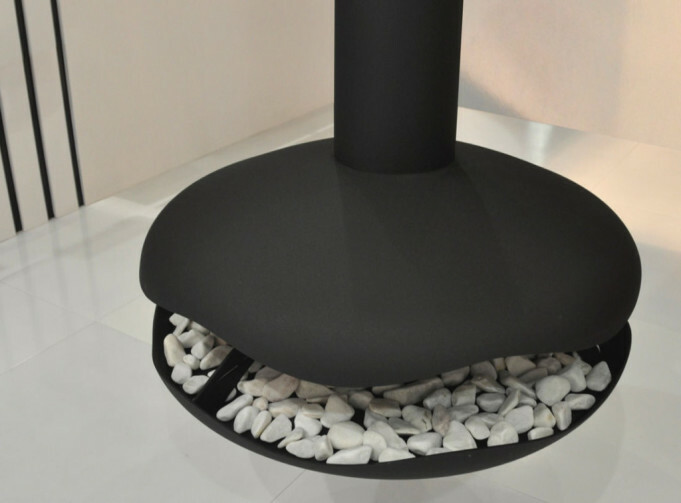 The place around the burner could be surrounded by decorative stones, that will emphasize visual virtues of Perola. 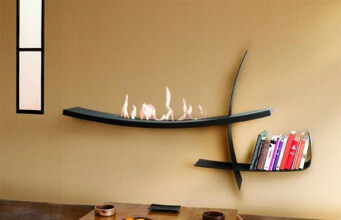 Chic and functional bio fireplace is high quality finished. 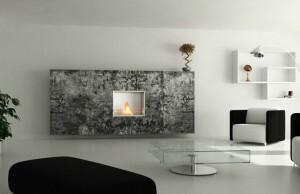 GlammFire offers Perola in two colours: lacquered black and white. 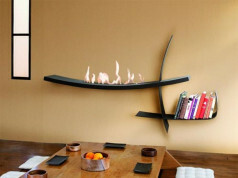 The burner’s volume is 2l of ecological and eco-friendly ethanol. 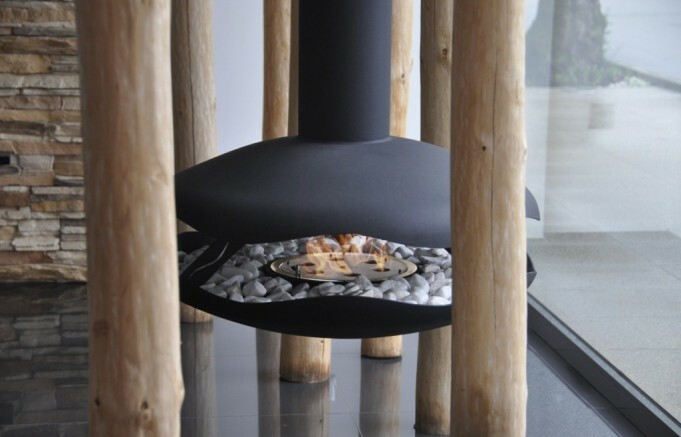 The device weighs 85 kg, the total height is 2 m. The recommended, minimal space with bio fireplace inside is 18 m2. Perola is a gadget, that will bring harmony to every interior. 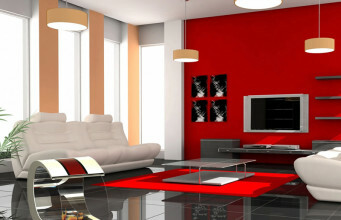 Your room deserves a little bit of comfort and personality.